The 12-hour state-wide bandh called by National Democratic Front of Boroland (NDFB) in protest against life imprisonment awarded to its chairman Ranjan Daimary paralysed life in entire Udalguri district of Thursday. The CBI Special Court here on Wednesday awarded life sentence to founder chairman of NDFB Ranjan Daimary alias DR Nabla after convicting him in the serial blasts in Assam that claimed 88 lives and left around 500 injured on October 30, 2008. 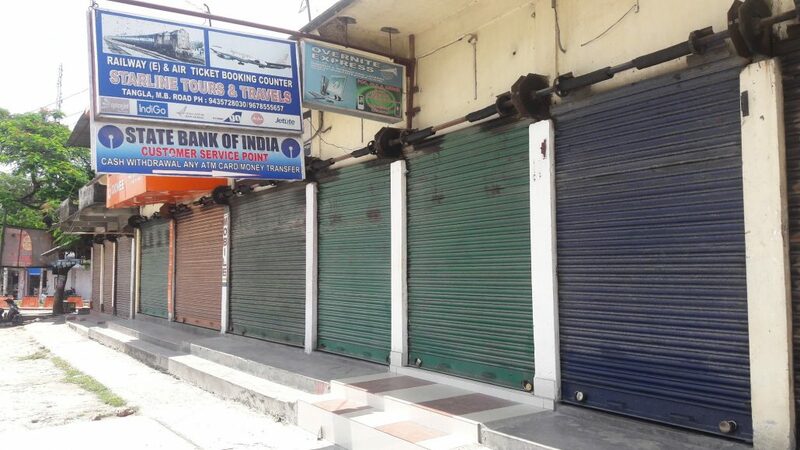 The bandh brought the normal life to a standstill in Udalguri where all the business establishments remained close while commercial and private vehicles remained off the road causing trouble to commuters. The bandh evoked full response in places like places Khoirabari,Paneri,Tangla,Bhergaon,Dimakuchi,Kalaigaon,Udalguri,Rowta,Orang,Mazbat. In fact, all the business establishments in Udalguri town downed their shutter immediately after the pronouncement of the court verdict on Wednesday. There was heavy deployment of paramilitary and police forces in all the townships of the district to prevent any untoward incidents. The bandh period passed off peacefully with no report of any untoward incident. The NDFB had earlier stated that the peace process of the outfit with the Government of India might get derailed in the event of its chairman Ranjan Daimary being sent to jail. The peace process has been going on since 2013 and Ranjan Daimary who was arrested by Indian authorities in 2010, has been out on bail in order to participate in the peace process.